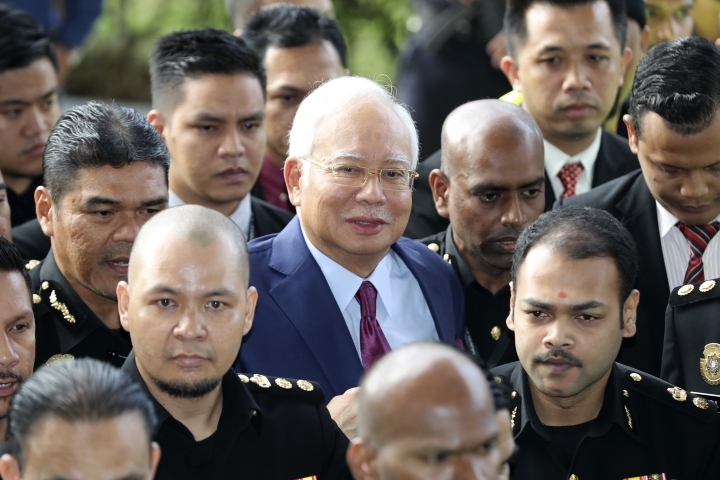 A defense lawyer says former Malaysian leader Najib Razak's graft trial, scheduled for Tuesday, has been postponed by a court ruling. 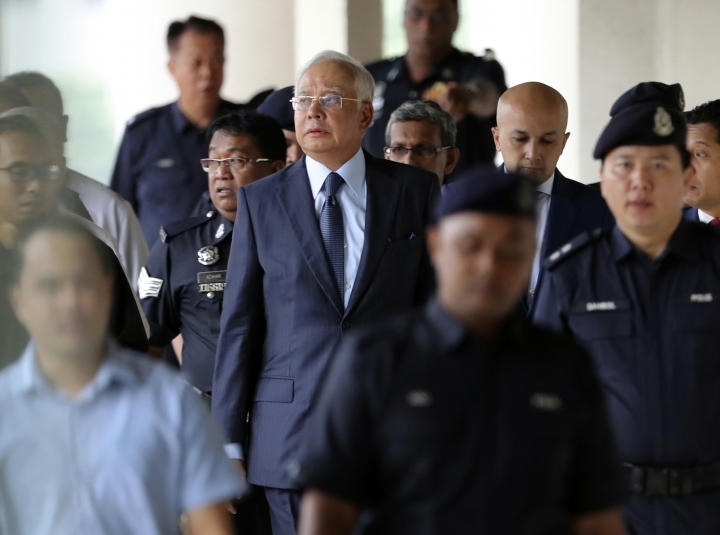 Najib has pleaded not guilty to 42 charges of criminal breach of trust, graft, abuse of power and money laundering linked to the multibillion-dollar looting of the 1MDB state investment fund that has battered the country's standing abroad. The first of his many trials was due to start Tuesday, but lawyer Farhan Read said the defense won a stay of proceedings in the Appeal Court on Monday. He said the Appeal Court will hear Najib's appeal over a technical issue that the defense says could impair the validity of the trial. Anger over the 1MDB scandal led to Najib's electoral defeat last year. 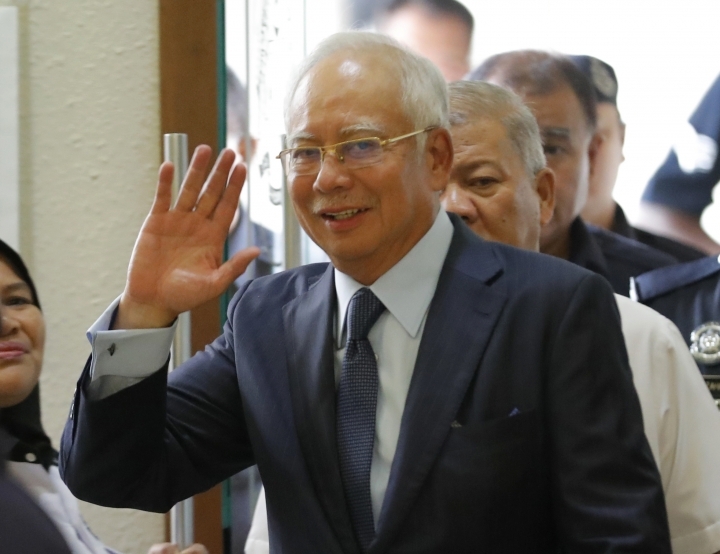 From appearing in an R&B music video and trolling social media to vilify the new government, former Malaysian Prime Minister Najib Razak has been combative before the start of his graft trial, linked to the multibillion-dollar looting of the 1MDB state investment fund that has battered the country's standing abroad. 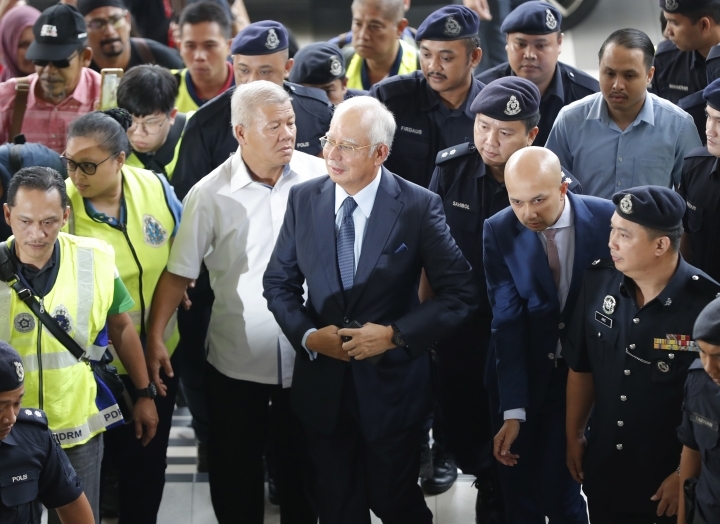 The trial comes nine months after Najib's spectacular election defeat, spurred by voters' furor over the 1MDB scandal that is being investigated in the U.S. and several other countries for alleged cross-border money laundering and embezzlement. U.S. investigators say more than $4.5 billion was stolen from 1MDB by associates of Najib between 2009 and 2014 and the ill-gotten gains were laundered through layers of bank accounts in the U.S. and other countries to finance Hollywood films and buy hotels, a luxury yacht, art works, jewelry and other extravagances. Some $700 million from the fund that Najib set up for Malaysia's economic development allegedly landed in his own bank account. One of only a few Southeast Asian leaders to be arraigned after losing office, Najib has denied any wrongdoing.